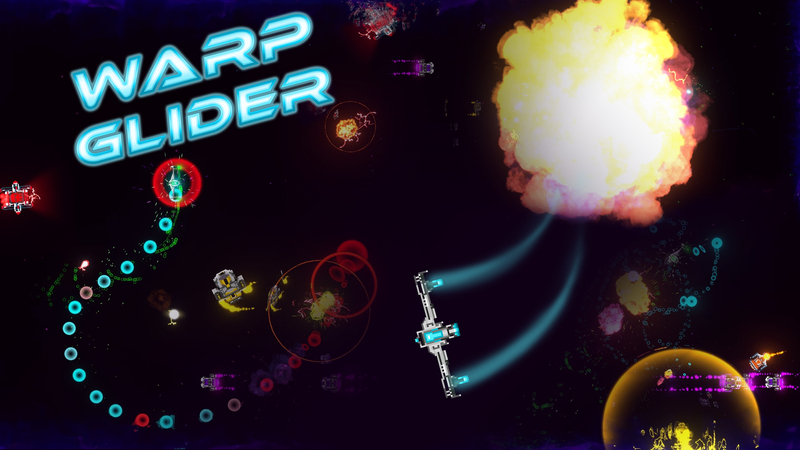 In Warp Glider you pilot a glider craft at blazing speeds pulling off aerial acrobats while surviving the Bandits swarming through the warp horizon. Classic arcade action and feel with a modern touch! In Warp Glider you control a glider craft able to warp through the edges of the screen collecting energy. Keeping the ever-expanding waves of Bandits approaching through the dark rift horizon at bay. 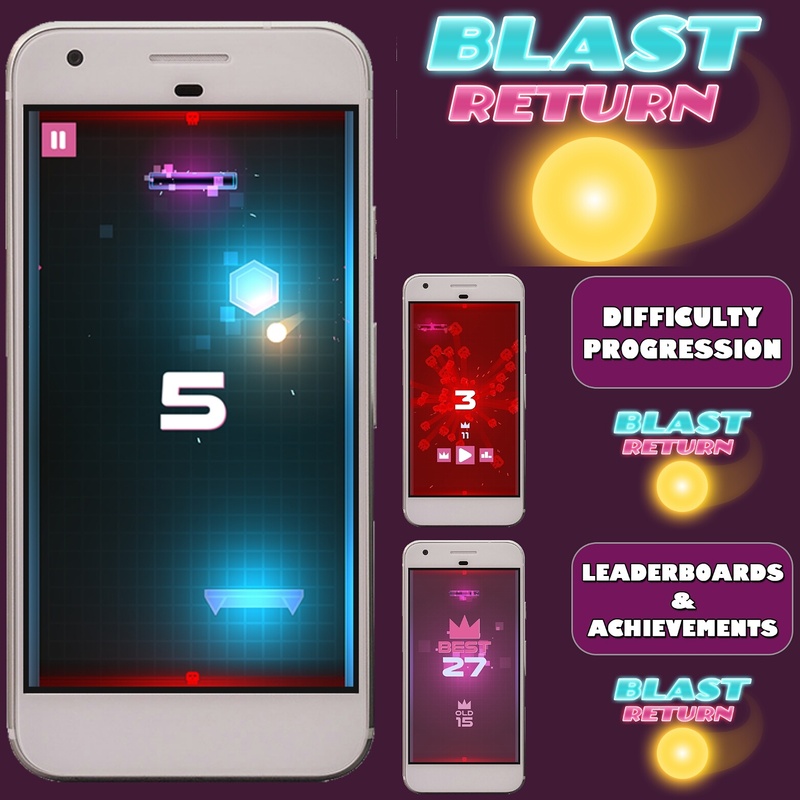 Your objective is to survive and collect electric energy orbs to increase your score, the longer you survive it will increase the difficulty of the game in a multitude of ways. Use the momentum of the craft while traveling in combination with rotating steering and boosters for a detailed sense of control and aerial acrobats across and through the screen at sometimes ridiculous speeds. You can break a single wing and survive to find a wing-fix but break both wings and your ship will explode. The Bandits have unique movement patterns and behaviors and become more advanced versions of themselves if reached. Your boost ability can get you out of a positional jam or sometimes can put you in a worse spot if you hit an environmental obstacle like black holes that will pull everything to its event horizon. The gravity bombers that will push away anything in close to it might or might not help you survive either. Pickup stack able Power Ups for offensive, utility, or defensive strategy to help survive the Bandits as you work your way around the battlefield. Some Power Up examples being Cloaking devices, Speed Boosters, Shields, Mines etc. Warp Glider will work with a flight stick, Joystick controller, or with a keyboard and mouse. I recommend to glide with a standard Console/PC controller for the joystick but it's developed to suit whatever you're comfortable with. You will also have the ability to unlock a new glider craft with different speed, boost, and glide ability stats that gives you an alternative controlling craft. Hi, I'm David Nickerson solo developer at Mole Eyes Entertainment, Warp Glider will be the first game I have launched on my own. The last launched Steam Game I co-created was called "Pixel Boy and the ever-expanding dungeon". 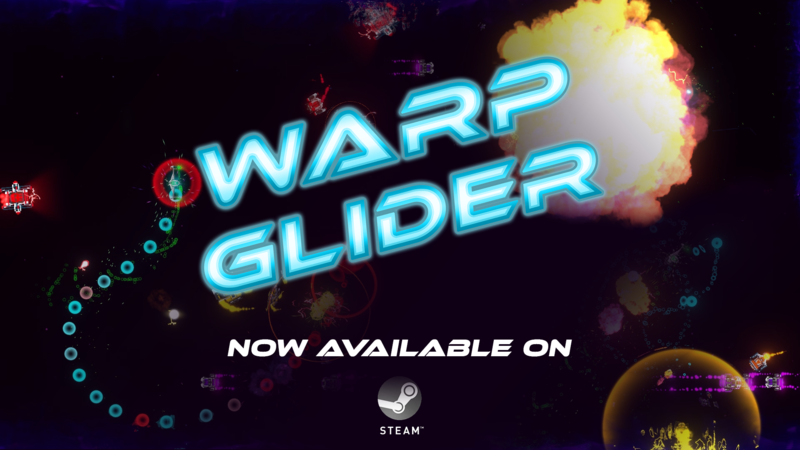 I really hope you enjoy Warp Glider, feel free to contact me on the Steam forums if you have any feedback or suggestions at all! I was thinking about adding a selectable stage setting for the rift and background, excellent thank you for the suggestion! I left the bg minimal for enemy contrast reasons but would love to give the player more options for customizable play. I think the game should need a space background.